If you own an iPad 2 and you want to keep your device protected by a stylish and quality produced case, you can do no better than purchase a Beyzacases Zero Series Case. Beyzacases are well known for the quality of their mobile accessories and unique designs, and this is no better shown than in their new Zero Series case for the iPad 2. The Zero Series provides very thin genuine leather cases for a variety of Apple devices, such as the iPad, iPhone, iPod Touch, and even MacBook Air.The “Zero” term relates to the thinness of the Zero Series cases, which add no bulk to the carrying of your device. However, do not be put off by the thinness, as the new case will still provide your iPad 2 with protect in the form a soft inner lining, whilst still making the iPad easy to remove. 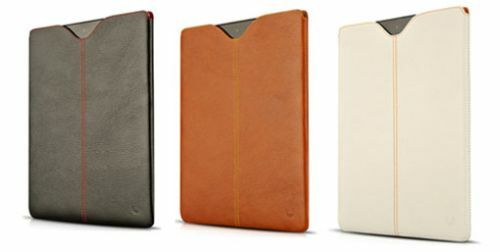 Please note that the new Zero Series case for the Apple iPad is made from genuine leather and is available in multiple colours — Brown, Tan, Red, White and Black, all with beautiful coloured stitching. 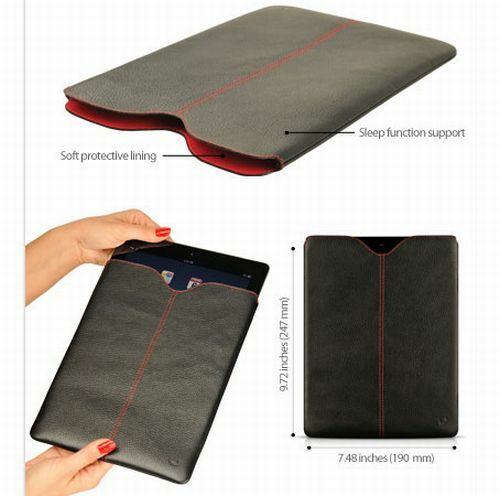 The Zero Series case also supports the iPad 2 Sleep function. Information provided in the article by PadGadget states that shipping for the Zero Series will start on May 31st, for those that just cannot wait you can pre-order yours now for approximately $78 USD. However, please note that Beyzacases are running a pre-order sale, with a 10% discount from now until the end of May — see here. Please let us know if you like the uniqueness and quality build of the Zero Series case, and also if you will be purchasing one.